On 07/14/2013, R/O was dispatched to 3407 S USHY 4552 (Loves Truck Stop) in reference to a subject attempting to use counterfeit currency. Upon arrival, R/O spoke with the cashier, later identified as Kaysee E. Frazer. Frazer stated a male black came into the business wanting to pre-pay for $60.00 worth of unleaded fuel. Frazer stated the subject pulled out a roll of money from his pocket and handed her three $20.00 USC bills. Frazer stated the bills felt different. Frazer stated she notified the customer that she was calling the police at which point the customer stated it was no problem. Frazer stated she called the police; however when she looked out the window where he was pumping gas, he waved to her, got into his vehicle, and left N/B on Schuyler Ave.
Frazer stated he was driving a black Chevrolet Impala. The license plate Frazer provided did not return to the vehicle she stated he was driving. Frazer described the customer as an older male black over 6ft tall with a left glass eye. Officers were unable to locate the vehicle or customer. 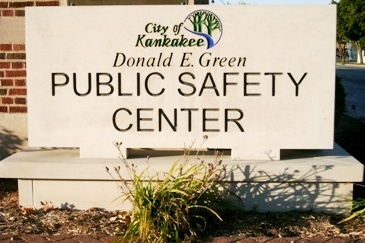 The three counterfeit $20.00 USC bills were placed into evidence at the Kankakee City Police Department. Frazer stated a manager would be able to provide the surveillance tapes to detectives if needed. #1 Elizabeth Jamison, Kankakee (City), Tuesday, Jan 1, 2013. Jury trial dates set: Pre-trial 8/20/2013; Jury Trial 10-21-2013. Charged: Case#: 2013 CF 000096 Edwards, Curtis J. This case has been continued 6 (six) times since the arraignment. Charged: Case#: 2013 CF 000120 Tucker, Javon K.
This case has been continued 4 (four) times since the arraignment. Note: Defendant Brandin D. Moore appeared in court on April 8, 2013, pleading not guilty (Daily Journal April 9, 2013), the same day as Curtis J. Edwards. But as of July 19, 2013, Mr. Moore’s name was not found on the Circuit Court case records on this case or on any separate case related to Antonio Smith’s murder. Investigation open: Police are investigating and ask anyone with knowledge of the incident to contact 815-933-0426 or Crime Stoppers at 815-93CRIME. Mr. Williams was attacked Monday, June 24, 2013. He died three days later. Charged: Case# 2013 CF 000272 Taylor, Kamron T.
by Tim Schmidt reprinted from Facebook February 25, 2013 with permission. Can you imagine if Chicago Mayor Rahm Emanuel or Mayor Bloomberg in New York answered the question of what are you going to do about the rising murder rate in your community like our Mayor has? In a recent Daily Journal article it read …. Epstein said there is plenty of room for improvement when it comes to crime reduction, but she said crime statistics have been reduced nearly across the board, except in the all-important category of murder. Mayor Epstein: “how can someone determined to commit such a horrendous crime be stopped?